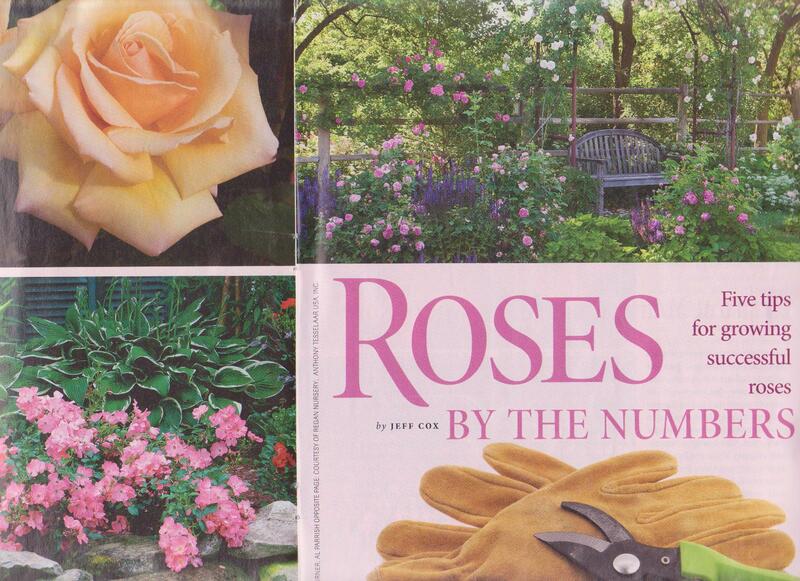 “Roses By the Numbers” by Jeff Cox, the author of 15 books and hundreds of magazine articles on gardening. Hyacinth is a beautiful flower born of a tragedy that became a well known Greek myth — Hyacinth was the athletic youth was beloved by both Apollo and Zephyrus, the bringer of spring and summer breezes. After his accidential death, Apollo kept Hyacinth from Hades and the underworld by making a flower from his blood, the Hyacinth. 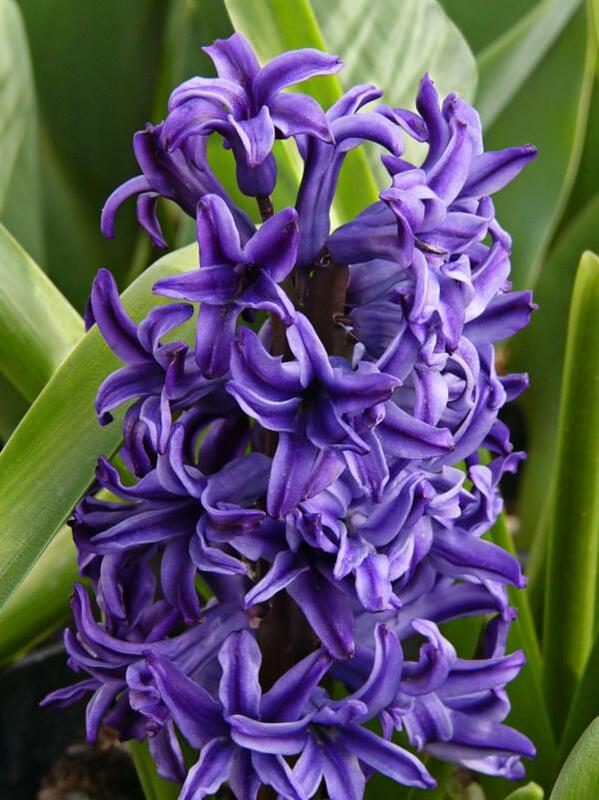 A great story, and a good reason to spend a little extra time keeping your Hyacinth in top shape, which will require a small amount of work. 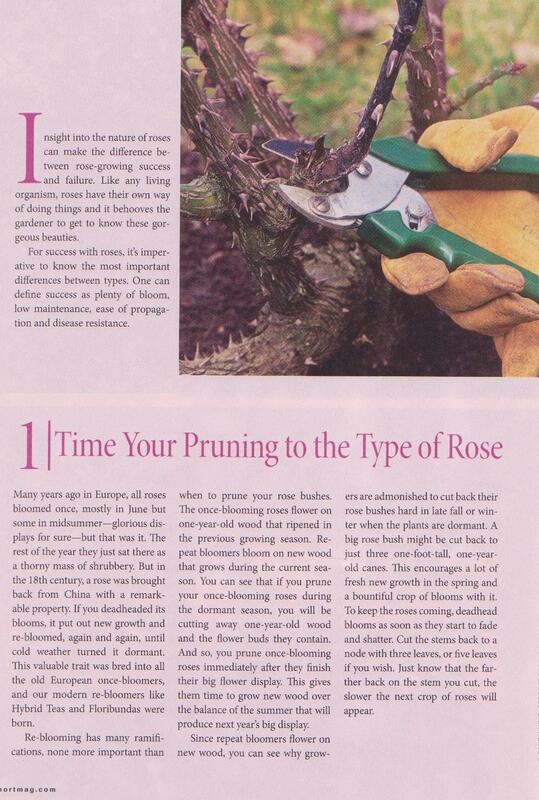 The main maintenance task is called deadheading. 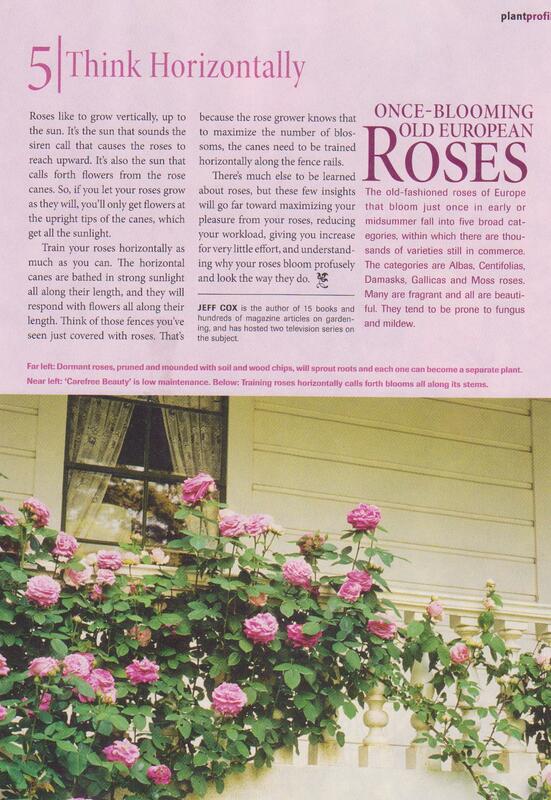 Deadheading is simply pinching off old blooms to encourage new growth and transfer energy from making seeds. 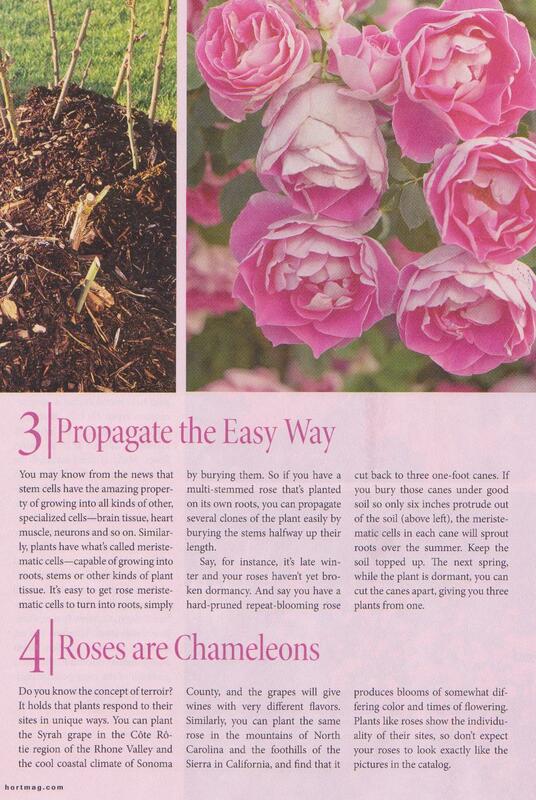 However, if you bought a self-sowing variety do not deadhead because you will lose the seeds. Native Plants are defined as any plants that occurred in North America before European settlement. Exotic Plants, or non-natives, are those not originally located in North America and your specific region. Plants that are native to where you live have evolved and adapted to your local conditions. Once established, they require very little attention, very little watering, and they’re resistant to most diseases; natives are also incredibly hardy and can survive the cold of winter and the heat of summer. I work with a lot of natives and non-natives, and there are many non-natives that do well. However, some exotic plants can be very invasive and what many find appealing about some exotic plants, such as colorful berries or pest resistance, make them very difficult to contain. 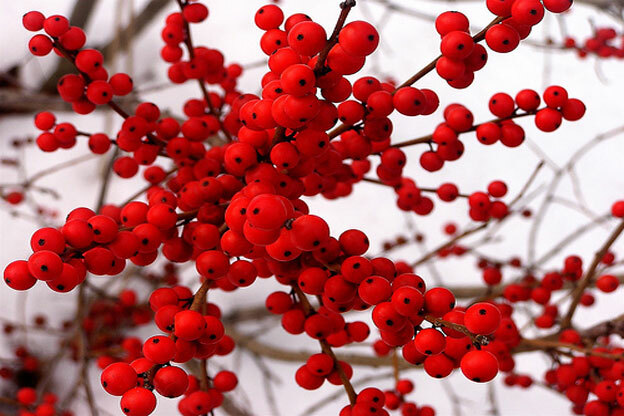 Exotic plants most appealing to birds and other wildlife are usually the most invasive because animals easily spread fruits and seeds. 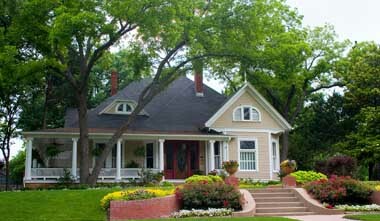 The amount of time required to keep your garden in check can become a full time job, and since it can take several years to fully realize an exotic plant’s invasiveness, many find going native to be not only a more natural and “green” way to go, but the least invasive to the precious time we have to enjoy our garden spaces. New! 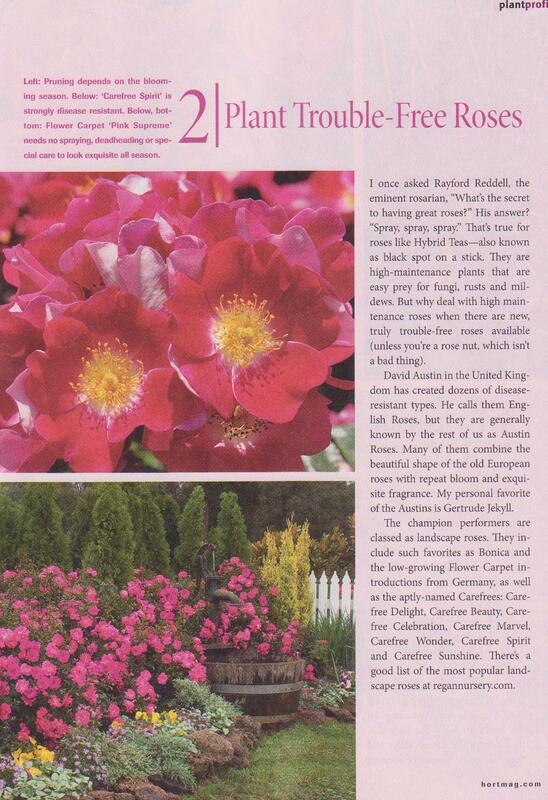 The Rising Sun Redbud is GardenWise! Virtues: This is a tree with a compact size that makes it easy to showcase. Multiple seasons of interest through its spring flowers, vivid spring, summer and fall foliage and nice bark. Its flowers attract bees and butterflies. Flowers: Tiny vivid pink flowers line the branches in early spring, before the leaves emerge. Foliage: Large, heart-shaped leaves that are bright orange-peach when they emerge in Spring that turn green as they age. New leaves emerge all summer, so there’s always a mix of colors on the tree. Fall foliage is yellow and orange, and the bark is smooth and yellow, making it attractive in winter. 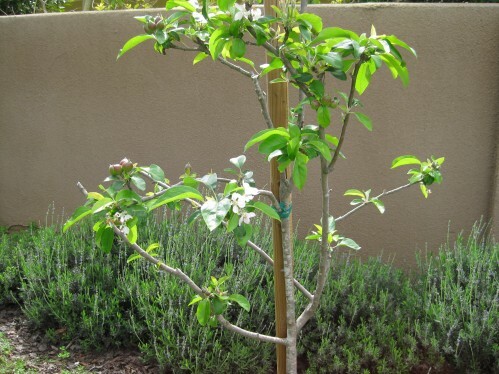 Habit: Deciduous tree 10 to 12 feet tall with a 10 to 15 foot spread. Recycling Garden Materials Saves Money!! There are many advantages to using recycled materials, an easy “green” step to take when installing any hardscape design. GardenWise uses recycled materials whenever the opportunity presents itself, including recycled concrete for paving systems, glass in stepping stones (left,) and crushed stone and granite for patio surfaces. 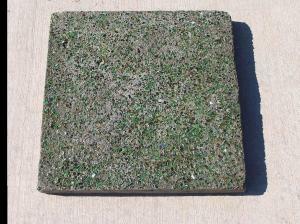 An added bonus to using recycled materials in your hardscape installation? You save money!! When I incorporate larger pieces of old concrete into a design, the purchase and delivery of new materials is eliminated. Also eliminated? The cost of removing and disposing of old materials. It’s another way to pay attention to both the environment and your budget.